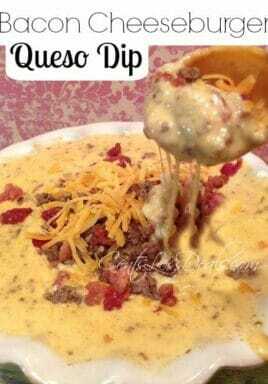 This Bacon Cheeseburger Queso Dip is soooo delicious!! I just couldn’t stop eating it! It was quite easy to make and what is not to love about a recipe with cheese and bacon in it? You’re right, nothing! 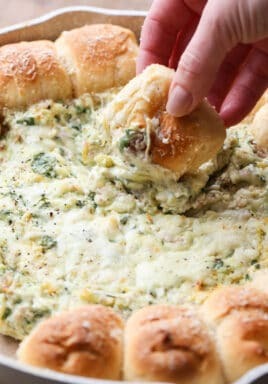 There is no way you can keep yourself from falling in love with this, so just go ahead: close your eyes, take a bite, and enjoy the fall 😉 Be sure to pin this to your Superbowl Snacks board on Pinterest! This will be a huge hit with the guys! 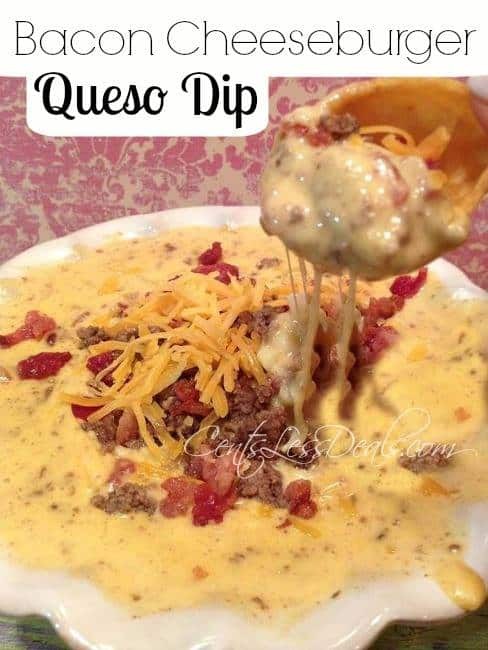 Easy cheesy queso dip flavored with your fave burger toppings! Cook ground beef (crumble the beef) and onion, drain off fat. In a large saucepan, melt velveeta, cream cheese, and 1/2 cup milk over medium heat. Add in shredded cheese, ground beef, tomatoes, and bacon crumbles. Stir well. Optional: Slowly mix in milk, 1/4 cup at a time until you reach desired consistency. Serve with crackers or tortilla chips. 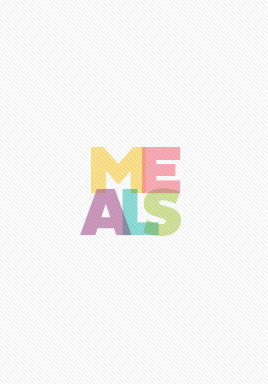 « Previous PostFun ideas for an inexpensive date night! !